January 19 marks the 25th anniversary since Movses Gorgisyan died. He was an Armenian national hero and politician, the leader of the Nagorno-Karabakh movement. He is remembered as a dedicated patriot, champion of the liberaton campaign, who was famed as a popular leader in a very short time. “ He was both a good orator and a good organizer and dedicated to the idea. He managed to become a popular leader in a very short period as there were necessary features in his character. Hew knew how to appreciate and honor great people, it’s the highest demand a leader is expected to fulfill,” said Paruyr Hayrikyan, the leader of the National Self-Determination Union party, remembering his one-time companion. Movses Gorgisyan was born in 1961 in Yerevan. In 1984, he graduated from the Armenian Teacher Training University's Department of Culture, obtaining the qualification of a stage director and producer. 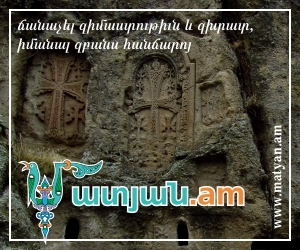 From 1986 till 1987, Gorgisyan worked at the Drama Theatre of Goris town. In 1987, he joined the nationalistic movement, becoming a member of the National Self-Determination Union. He was the first person to hoist Armenia's tricolor flag on Liberty Square on Armenia's First Republic anniversary in 1988. One of the founders of the Independence Army, Gorgisyan is widely known for his speeches on the re-establishment of Armenia's independent statehood. Since the start of the Artsakh (Nagorno-Karabakh) liberation movement, he was an active advocate of Artsakh Armenians' independence campaign. On January 18, 1990, border villages in Ararat region came under Azeri militants' armed attack. A day later, the Armenian fighters eliminated one of the enemy's detachments, seizing a large quantity of weapons. Together with his warriors, Gorgisyan attacked and silenced the enemy's weapon emplacement on a hill, but he died a hero's death in the battle.